The stock market is rallying as trade tensions between the United States and China appear to be abating. But one prominent investor is still very, very concerned about the possibility of a trade war. 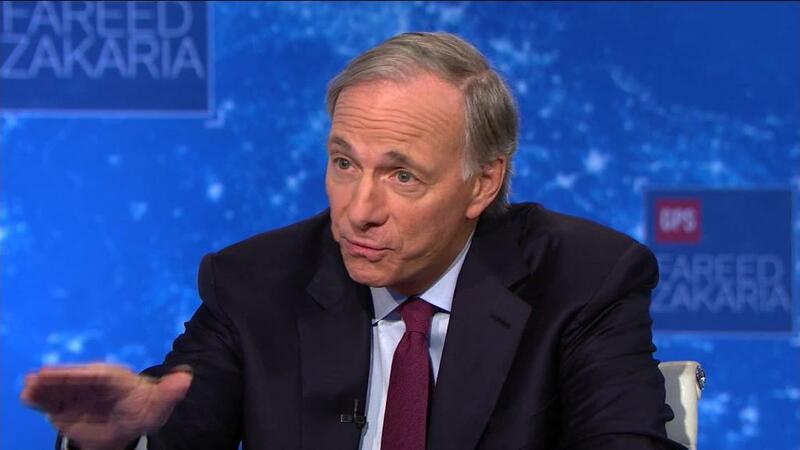 Ray Dalio, the billionaire founder of hedge fund Bridgewater Associates, said that he's increasingly nervous about President Trump's antagonistic stance towards China. "I'm worried and forced to look harder at the question of where Donald Trump is leading us. What is his real agenda?," Dalio wrote Monday in a LinkedIn post titled "More on Trade and Other Wars." "Right now, I don't think it's clear to anyone, including some of the people closest to Donald Trump, what exactly his strategic objectives are," he added. Bridgewater Associates is the largest hedge fund in the world, with assets of $160 billion. The firm primarily invests in big, popular ETFs. The Vanguard FTSE Emerging Markets ETF (VWO), SPDR S&P 500 ETF (SPY) and SPDR Gold Trust (GLD) are among its five biggest holdings. But Bridgewater also owns well-known stocks such as HSBC (HSBC), Royal Dutch Shell (RDSA) and PG&E (PCG). So Dalio's words hold a lot of sway over Wall Street. And he is particularly skittish about the fact that China is the largest holder of US Treasury bonds. It owned $1.2 trillion as of the end of January. If China were to start selling those bonds, it could push interest rates higher at a time when people wonder how much longer the US economic recovery can last. That's why Dalio thinks any advantage that the United States has over in China in trade talks -- America imports far more from China than it exports to it -- could be wiped out by what he calls a capital war. "We should think beyond trade wars to consider the possibility of other types of wars," Dalio wrote, adding that "to whatever extent anyone believes that the US has the advantage in a trade war because it has a big deficit (so it has more to gain) one could say the same for China in a capital war because it has the bigger deficit." Dalio has grown increasingly bearish about the markets and global economy as of late. He wrote in another LinkedIn post last June that he was worried about "great economic, social and political polarity" due to the rise of populism in the United States and United Kingdom. And at a speech at Harvard in February, Dalio said he thinks there is a 70% chance of a recession in the United States before the 2020 presidential election. It's almost as if Dalio wants to unseat noted economist Nouriel Roubini as Wall Street's new Dr. Doom. Dalio is not the only one who's nervous about what could happen if the relationship between the United States and China deteriorates. "It's a dangerous game in terms of how some of these tariffs could escalate. Our concern is that essentially both sides need a win-win situation to de-escalate things and come to some sort of agreement. That's a difficult goal to achieve," said Phillip Nelson, a partner and director of asset allocation at NEPC, an institutional consulting firm. But Stephen Lee, principal at Logan Capital Management, is hopeful that cooler heads will ultimately prevail. He points out that if China were to start dumping Treasuries, the net result is that it would weaken the US dollar. That, in turn, would make US exports more attractive to other nations -- and defeat the point of selling the bonds in the first place. "One of the virtues of global trade is that we are intertwined. Working out things constructively helps everyone," Lee said. adding that investors should "react to actions, not ideas." Good luck with that. Nelson expects that this new era of volatility will persist for the foreseeable future as traders keep responding in knee-jerk fashion to all the latest news about the United States and China. "Political headlines and tweets will continue to move markets," Nelson said.